I fell behind on my challenge, so I wanted to go with something that I already knew, but needed to read again. And what better than one of my favourite authors of all time, Gordon Korman. This isn’t my favourite work of his, but certainly in my top three. I am still searching for a copy of No Coins, Please which is my all time favourite Korman book. 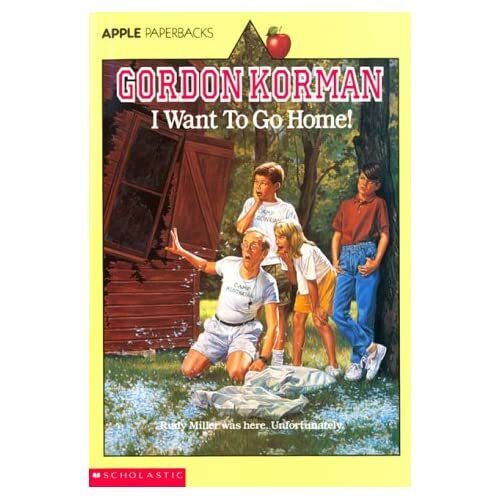 This book, I Want To Go Home is very similar, so just as funny. 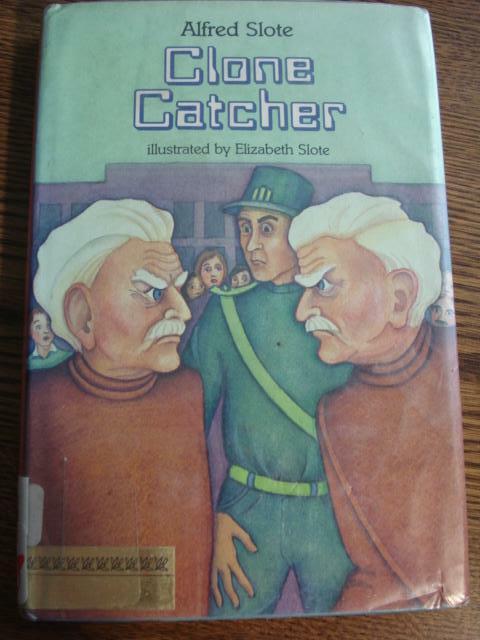 This is an early teen book that shows the absolute absurdity of what can go wrong at camp. Camp Algonkian reminds me of camps that I attended, such as Camp Wahonowan on Lake Couchiching for band camp. When I read this book, I picture this place and can relate to some of it. I really enjoyed camp, but Rudy Miller doesn’t. His parents write to the camp Director, Arthur Warden out of concern. It has been recommended by the school’s guidance counsellors that Rudy attend camp to improve his interpersonal skills to essentially become a “normal” child. Arthur’s take is that all boys are just boys. There are no “problem” children. He hasn’t met Rudy Miller yet, and he’s no ordinary kid. Rudy meets Mike who has been sent to camp as a reward from his parents for good grades. Mike hates camp as much as Rudy does and together they attempt to escape the island. First, they take a boat before dawn and get caught by the OPP and sent back because they don’t have a bailing bucket. The counsellors are none the wiser on this occasion, so they head out the next morning again, equipped with a bucket, but fall asleep and end up back on the island because the sailboat has gone around in a circle. Rudy is an extremely intelligent child and comes up with a quip a minute. But he doesn’t do anything. It’s not that he cant as we soon find out, but he just doesn’t want to. As a matter of fact, he’s great at everything he does. Soccer, chess, swimming; so good in fact that he saves one of his counsellors from drowning. I certainly don’t do this book any sort of justice, but suffice to say that this is not the only storyline occuring. There is a side story that comes around in the end and just puts the icing on the cake. I highly recommend this book for readers of all ages, because I still smile at this book even 20 years later. Enjoy. Russell Peters is one of the funniest comedians in the world today. I loved his work from the first time I saw him on “Just For Laughs” which I watch rarely. Similar to him, I am an “AI” – Anglo-Indian, even though the story might be different. Much of the story is the same as my father. My father came over as a bachelor in 1967 from India with a degree and landed in Montreal, Canada with a one-way ticket and $200 in his pocket. Russell’s parents had $100 between them and came directly to Toronto. Growing up in Toronto as a half Indian, half British girl was never very very cool… Until Russel Peters came along. All of a sudden being Indian was awesome! As soon as I saw Russell’s first appearance, I killed myself laughing, not only because it was funny, but because it was true. My Indian father agrees whole-heartedly. I then started to wonder how alike he and I really were. So when I got a chance to read his biography, how could I resist? I wasn’t born to Anglo-Indian parents, but to Indian and English parents (one of each). Pretty close, but unlike Russell, I got the Indian names. No one questions my heritage once I tell them, but they rarely get it right if they just guess, unless they are Indian. My parents met over here and I was born here too. Russell was the second child and was supposed to be a girl. I was the first born and was supposed to be a boy. But we both have just one brother that we cannot live without. Like Russell, I’ve experienced the “P-Word”. He’s dedicated a whole chapter to it, while I’ve dedicated two blog posts to it, one this year and one last year. They are both pretty similar, though the catalyst for writing them was different. Funny thing though, they were written one day and one year apart. Weird. Russell took a trip to Mumbai and visited the Oberoi and Taj Palace Hotels, as did I for my cousin’s wedding in 2006 not far apart, but both not long before they were bombed. The stories he tells about Burhanpur remind me of mine in Matheran while visiting our friends. He had tigers, I had monkeys. If I find the picture, I promise to share it. I had a great talk with a friend of mine, Carolyn Van about a year ago about what direction I should head in for my career. I’d heard of WordPress before, but didn’t know a heck of a lot about it. I’d done some web design many years ago and did some programming during my degree, but I wasn’t really interested in spending a few more years just learning how to code all this stuff. She gave me the simplest advice possible, but it has been the most valuable: Buy a book. After our chat, I walked over to the nearest Indigo book store and picked up this book: WordPress All-In-One for Dummies. I’d never bought a “Dummies” guide before, but I figured eight books for about $40 is a worthwhile investment to see whether or not I can hack it (no pun intended). Some of the topics that are covered in the book include the basics, installing a single or network version (or multi-site), designing themes and plugins, and SEO. It goes from the simplest of instructions to the most difficult. A guide for all. I have to say, this has got to be one of the best books I’ve picked up in a long time. I learned WordPress through this book. But don’t think this is the end-all-be-all. The beauty of WordPress is that there are so many resources out there, including forums, companies that do nothing except design themes and plugins as well as meetups where you can meet others who work in WordPress, that you don’t have to know it all. I don’t know how to do a plugin or design a theme, but I have a tonne of resources from which I can draw. One of those is the Toronto WordPress Group. They meet at least once a month in a very social setting and I usually get some great advice with good company. It is very popular and does sell out quickly. 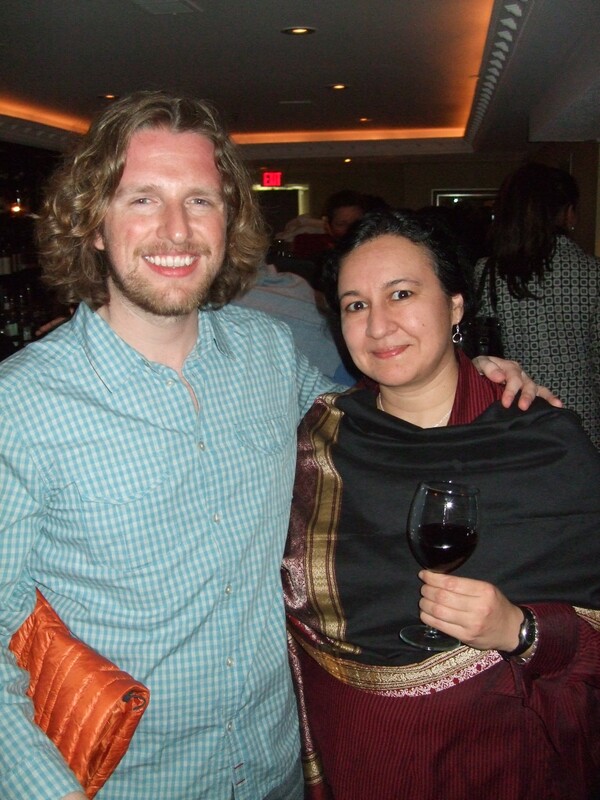 I even got an invitation to a special VIP event back in February and had the pleasure of meeting Matt Mullenweg, Founder of WordPress! Big thanks going out to Craig Taylor for inviting me. I was fortunate enough to make him a Japanese Crane that he said he’d take on his next flight and was so kind and easy to talk to. I also attended a barbecue that they did last summer that was really a lot of fun too. Hope they will repeat it. This is the crew that does WordCamp every year as well, authorized by WordPress. For those outside of Toronto, there is also the Niagara WordPress & Internet Marketing Group. I haven’t been to their meetups as yet, but they certainly have some topics that are of interest to me, and it’s just as close for me, living in the Hamilton area. I usually recommend WordPress to my clients because it is easy for them to use themselves. I believe that small businesses should be able to make simple changes to their website without having to deal with a lot of coding. The interface is very simple to manoeuvre and is intuitive. Once set up properly, writing a post or adding a page takes only a few minutes. If you’re interested in learning how WordPress works, I would highly recommend picking up this book and just start playing around with it. The book is a great investment, even if you don’t read every single chapter or mini-book, you too can learn WordPress. Enjoy! This was one of my favourite books as a child. The image shown is the hardcover version which I first read. I acquired a copy of the paperback version. I have to admit, I was excited to find that there was a signed version of this book available on eBay when I did the image search. Arthur Dunn is a Clone Catcher who is hired to track down the clone of Lady Kate Montagu, a dying woman in Perth. He is brought in by her husband, Sir William and is paid top dollar to retrieve Mary, Lady Kate’s clone. The book delves into many ethical questions that are quite mature for this book’s intended audience of pre-teen. Things like giving a clone her own name and allowing her to live a real life, knowing that she was meant to be “parts” for Lady Kate. Most clones are kept in a compound and the one on the Montagu property is one of the best in the world. They keep their clones as happy as they can be until they are needed. The mystery behind it is also very sophisticated but is explained very well. This is a book I would love to see turned into a movie someday. The twists and turns could certainly net a decent sum, I’m sure! Though the story is quite mature, it is still suitable for the young adult reader in your life. It certainly has been one of my very favourites and hope it becomes yours too. I’d been following Scott Stratten on Twitter for some time and had always wanted to read his book, Unmarketing. When I found out he was going to do a talk at Ryerson, I knew the time had come. After reading it, I wondered what took me so long? All I can say is that I’m making up for it now. Every client that I meet that doesn’t get it, I tell them to read this book. The main theme that I took with me (obviously, other than the subtitle: “Stop Marketing, Start Engaging”) is that traditional marketing isn’t going to cut it anymore. People want more transparency in their lives. You can’t fool them anymore, so just be honest! Talk to your clients and fellow human beings. Most of the time, they talk back. I have been following many of the practices he discusses in the book, but didn’t have any good stories to go along with why I was doing what I was doing. Scott gives great examples and stories in bite-sized chapters which makes it very easy to flow through it and feel like you’ve accomplished something. One of my favourite chapters is #35: Transparency and Authenticity. There are a number of consultants out there that that will tell you it’s all about the numbers: Number of followers, number of likes, etc. Though these are a good measure in most cases, it isn’t everything. It’s more important to do a few tweets that are worthwhile and engaging, rather than just broadcasting your blog/website to the world. I run a small consulting business that helps small to medium businesses not just create a web presence, but also learn how to navigate social media. I spoke with a new client yesterday who wants to learn how this all works. I said since we weren’t meeting for a few days, he had some time to do some reading. I told him to get this book. And so should you. His next book is coming out very soon, so make sure you get this one as well as the next. Follow Scott on Twitter @unmarketing. I’ll talk about his talk at Ryerson very soon. This is a book that I’ve been working on for a while. When I took the pledge last week, I only had a few stories left to read. Now, I’ve finally finished it. I really enjoy murder mystery novels above all else. My favourites, as common as it might be is Sherlock Holmes. This collection derives from a very similar style of writing, though a little more dark at times and some more recent than that. Some of the stories are written in the first person, some as a narrator and some as the third person. 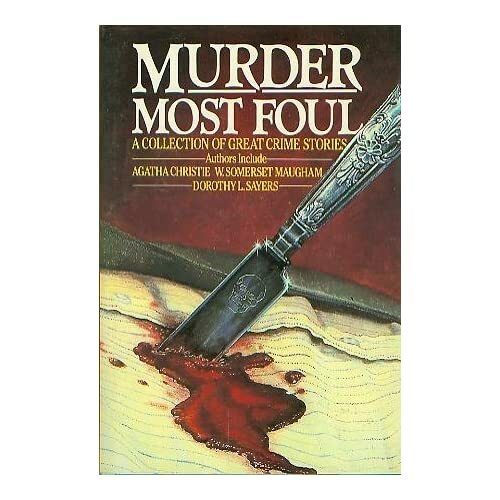 Contributors to this book include Sir Arthur Conan Doyle, Agatha Christie and P. D. James. I don’t have a favourite story, but there are a few that really gave me chills at the end of it. Some of them lost me because they described things that I didn’t know and couldn’t quite picture it. The ones I enjoy the most are when the culprit goes a little insane and either turns themselves in, or does themselves in. The ones I would recommend are “The Fruit at the Bottom of the Bowl” by Ray Bradbury, “Back for Christmas” by John Collier and “A Nice Touch” by Mann Rubin. Of course the biggest difficulty with a book such as this, is that I have to leave it in a cliffhanger mode. Oh. Maybe not the best choice of words… Guess you’ll have to find out for yourself. So I thought I’d start off slow. I’m already a week behind and I wanted to do all kinds of books. This is for the young ones in your life. I had the pleasure of attending a reading of this one with the author and had the book signed. I got a chance to re-read this after many years on my shelf. I cannot remember the last time I read it, but I’ve obviously had it for more than 20 years. Reminded me of my love of Chinese culture. The story is of a young girl, Mei Ming, who’s village is suffering from a very serious drought. Every day she goes farther and farther to gather food for her father. One day she reaches a mountain top and finds water and vegetation, enough to save her village. She tries everything she can to dig to get the water to village, but it’s too great a feat. 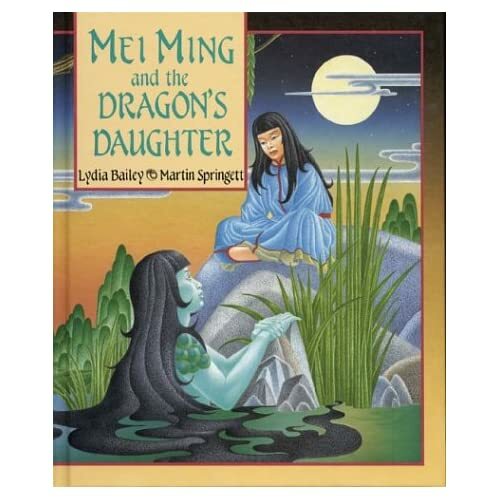 She sings and the animals hear her and guide her on a quest that brings the Dragon’s Daughter. The Daughter helps save her village by… well, I’ll leave that to you to read. The lead up to the climax is great, but the ending is quick. Perhaps too quick. Without giving up too much, the Daughter is brought in perfectly, but doesn’t really give a compelling reason to help Mei Ming. I realize this is a children’s book, but it would still be nice to know about the “why” behind it. Still, a very nice fairy tale with the traditional elements and is a treat to read to little ones. Enjoy. I was having a Twitter discussion with my fellow Post A Day Challenge 2011 member Dan Levy (@TheDanLevy) the other day about what to do next? He’s done a great job with posting every day and I haven’t. I’m playing catchup myself, but now I need something to challenge myself yet again. I have never been a big reader and but during my recent move I realized how many books I have, many of which, I have never read. In addition, I have almost 1500 books that I’ve downloaded in some collection or another, so I’ll never go without something to read. Then I found this challenge: 50 Book Pledge. This sounds like something I need to do. I don’t know if I’ll get through a book a week, but I’m willing to try. If I haven’t, I’ll try to review a book I’ve already read. It may sound like cheating, but I really do read slowly and it takes me forever to read through a single book. What I will read is going to be different every time. Some might be fiction, some technical. Some might be long, some might be short. I will read complete books for my review, not just a short story. However, I do like to read collections of short stories, so I will do these as a whole book.